When you make the choice to reach for your canned energy drink for a "pick me up" what are you actually doing to your body? It's Winter everyone! My first year of college was filled with case after case of Monster Energy drinks. There was hardly any time that I didn't have one in my hand. But then it hits you during the night time jitters and crash, that this drink is probably not so great for you. The reality is that they are actually very bad for you. While I probably drink too much iced coffees these days, I try to steer clear of my old favorite energy drink. Aside from the fact that they typically come in tin cans, studies have linked Red Bull and Monster to stomach, nerve and heart problems and a team of researchers from the University of Texas says its findings are among the first to fully understand the mechanism linking and increased risk of metabolic syndrome to the energy drinks consumed. Finding that just a single can could narrow your blood vessels in just 90 minutes, restricting flow to vital organs, leading to health problems such as heart attack and stroke. Tin leeches into the contents of the can. Elevated tin is linked to seizure disorders. We offer heavy metal testing and ozone chelation treatment for heavy metal toxicity. Dr. G had a famous tin poisoning case about 15 years ago with children. An environmental department from the state was called in and the culprit was pineapple juice in tin cans. They were on sale so the parents bought a load of them and sadly they cause uncontrolled seizures in their son. Working closely with the son's neurologist from Hackensack, she was able to safely chelate the tin out and control the seizure disorder. Your tin levels should be below 4 and his were over 700. Testing endothelial function before the test subjects drank a single 24-ounce energy drink and 90 minutes afterwards, the team found that the internal diameter of blood vessels was nearly half as big as 90 minutes prior, on average. But why did this happen? 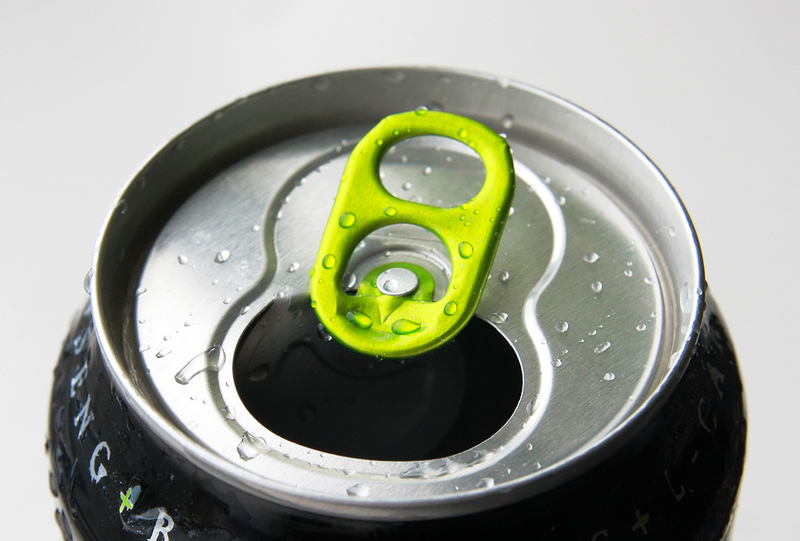 "As energy drinks are becoming more and more popular, it is important to study the effects of these drinks on those who frequently drink them and better determine what, if any, is a safe consumption pattern," says Dr John Higgins, a professor of medicine at the McGovern School where this experiment was carried out. The findings from this study (and from two other studies carried out in April 2017 and February 2018) will be presented and discussed further at the American Heart Association's Scientific Sessions 2018 in Chicago, which will take place later this November. If you have Chronic Fatigue Syndrome and stop over caffeinating and try safe effective Ozone Therapy and IV nutrients. Here is what one of our CFS patients has to say about Ozone: We have been 100% successful in reversing CFS caused by Epstein Barr virus with I.V. Ozone. We have reabled hundreds of disabled patients so they can go on to living productive healthy lives. If you have high blood pressure or any underlying cardiac condition you might want to avoid consuming these energy drinks. While caffeine might be safe in moderate doses - energy drinks can cause short-term serious side effects in those with underlying cardiac issues. It would be wise to do a full cardio work-up before introducing high energy drinks. Our patients are now doing comprehensive heart smart tests from Empire City Labs to get an inside view of their cardiac profile. We focus on stabilizing blood sugar levels with a whole foods diet, improving sleep hygiene and promoting daily exercise for better cardiac support. Reducing stress and supporting adrenal function is critical to normal physiological function and this can be accomplished with yoga, meditation, massage and nutraceuticals like: Adrenal Essence, Adrenal Manager and AdrenaMax. There are many quality products from Xymogen for heart health - Cardiac Essentials, NiaVasc, N.O.max ER, Xcellent E, 5 MTHF and CoQmax Ubiquinol are just a few nutraceuticals that neutralize free radicals and toxic superoxides which create systemic inflammation. Why would you come to us? We are ozone experts who are credentialed and licensed providers. We conduct a real new patient consult that examines your medical history, orders comprehensive labs covered by insurance and creates unique individualized treatment protocols incorporating homotoxicology that only exists in fancy expensive European clinics till now. In our practice, doctors run the treatment sessions. They are not farmed out to techs. We respond to every phone call and email personally. In short, we offer comprehensive quality care.